Hello I want to take admission in The Post Graduate Programme in Management (Part-Time) of MDI Gurgaon.So can you provide me details about this ? 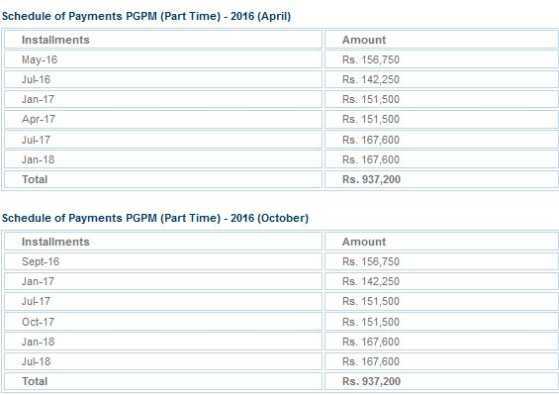 Is there value of doing bits pilani in mba program in Part time? Does PRIST university Chennai part time M.phil program? 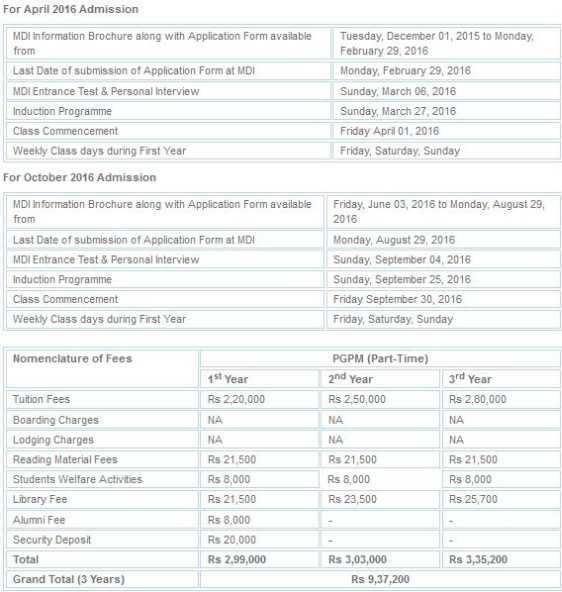 details of Part time Ph.D program in Kuvempu University? What is the eligibility for Part Time MBA from MDI Gurgaon? part-time MBA at MDI Gurgaon? The Post Graduate Programme in Management (Part-time) is offered twice a year (viz. April and October). A candidate must have a minimum of 3 years of post qualification executive work experience (excluding stipendiary training period) as on 31st March 2013 for April 2013 Batch and 30th September, 2013 for October Batch. The selection would be based on a written test conducted on MDI Campus, Gurgaon. The selection will be followed By interview.Successful candidates will be called for Interview to MDI Campus, Gurgaon. The Post Graduate Programme in Management (Part-Time) Information Brochure and Application Form would be available for sale on payment of Rs.1800/- in cash. The forms will be available from January 18, 2013 to February 18, 2013 for April 2013 batch and July 19, 2013 to August 19, 2013 for October 2013 batch (During office hours: 1000 -1700) from Room No.4 Gurukula Building on MDI Campus and MDI Registered Office, 15th Floor, IFCI Tower, 61, Nehru Place, New Delhi -110019. Post Graduate Programme in Management (Part Time) application form can also be filled online from MDI website. An applicant is required to fill required details Online and print a hard copy of the MDI Application Receipt generated online. A recent passport size photograph is to be affixed on the application receipt. The online Application Receipt then has to be sent to MDI, Gurgaon by Courier, along with a crossed demand draft of Rs.1800/- favouring Management Development Institute, payable at New Delhi. The candidates will have to appear for a written test to be conducted by MDI at MDI Campus in Gurgaon. This test is on similar lines/of the same pattern as the Common Admission Test (CAT). The tentative date for the Entrance (written) Examination are 3 March, 2013 for April 2013 Batch and1 September, 2013 for the October 2013 Batch. Shortlisted candidates will be called for a Personal Interview tentatively one week after the Written Examination, to MDI Campus, Gurgaon. The Interview will be on Sunday, March 11, 2013 for April 2013 Batch and on Sunday, September 8, 2013 for October 2013 Batch. The classes will start from Tuesday 2nd April, 2013, for April Batch and Friday, 4th October, 2013 for the October Batch. The classes will start from 6.30PM to 9.45PM. An Induction Programme will be held on Sunday, 31st March, 2013 at MDI Campus for the April Batch and on Sunday, 29th September, 2013 for the October Batch for the whole day from 9.30 am. I want to apply for MBA Part Time / PGPM (Part- Time ) course at MDI Gurgaon. Will you please give here Important Dates to apply for Admissions to the PGPM (Part- Time) Program? MDI Gurgaon offers MBA Part Time / PGPM (Part- Time ) course for the candidates having 3-year Bachelorâ€™s Degree course and having work experience .